It is almost the end of November and, as we approach the end of the 2016 NFL season, it is worth noting two important things: the Cleveland Browns have yet to win a game (0-11) and that may be due in part to the fact that they are still without Josh Gordon. For those teams still interested in Gordon as a player, he has an upside because his performance on the field is outstanding. Gordon’s numbers in 2013 were amazing. He posted 1,646 yards with 87 receptions and 9 touchdowns in a career year any receiver would be proud of. Gordon has a history of drug problems, he received a two-game suspension in 2013 for a failed drug test, and was let go from the Baylor football team in 2011 after he tested positive for marijuana while in school. He plead guilty to a DUI charge in September of 2014, failing an alcohol test last January, he violated his no-alcohol restriction triggering the indefinite suspension. These problems have caused him to lose $1.4 million in the year he was suspended. Gordon was conditionally reinstated in July with a four-game suspension to start the season for previously being suspended from the entire 2015 season for multiple violations of the NFL’s substance abuse policies. He would have been eligible to play against the Patriots Oct. 9 had he abided by his treatment program. Instead, he checked himself into rehab on September 29 tweeting that he was: “Under some pressure & stress recently, had to take a time out for myself. Sometimes you have to do what’s best for you. Thank u @nfl @Browns.” -Flash Gordon (@JOSH_GORDONXII). Rumors have floated around that Head Coach Hue Jackson and Browns executives have “moved on from Gordon.” The Browns planned for the future with the uncertainty of his return drafting four receivers and giving ex-quarterback Terrelle Pryor a full look at the position. 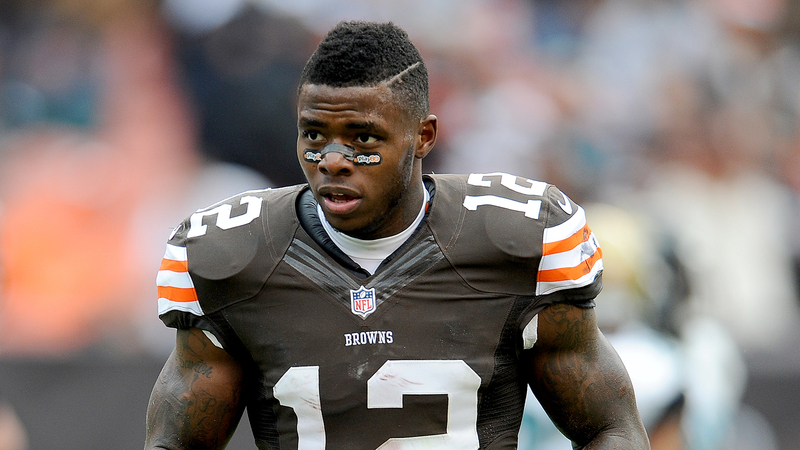 ESPN’s Adam Schefter tweeted on September 29: “Hope is that Josh Gordon gets the help he needs. Hard to imagine him playing for the Browns again.” -@ Adam Schefter. Gordon is not the only person at the center of the Browns’ woes, as the Johnny Manziel saga closed at the end of this past summer. Manziel was drafted in 2014 with the Browns first-round draft pick to be the quarterback the Browns needed to turn their franchise around. Gordon and Manziel succumbed to the pressures of stardom and playing in a professional league, trying to live up to their college success. Hopefully, Gordon can turn things around before it’s too late, and he ends up like his friend “Johnny Football,” who is currently a free agent after being released by the Browns in March.